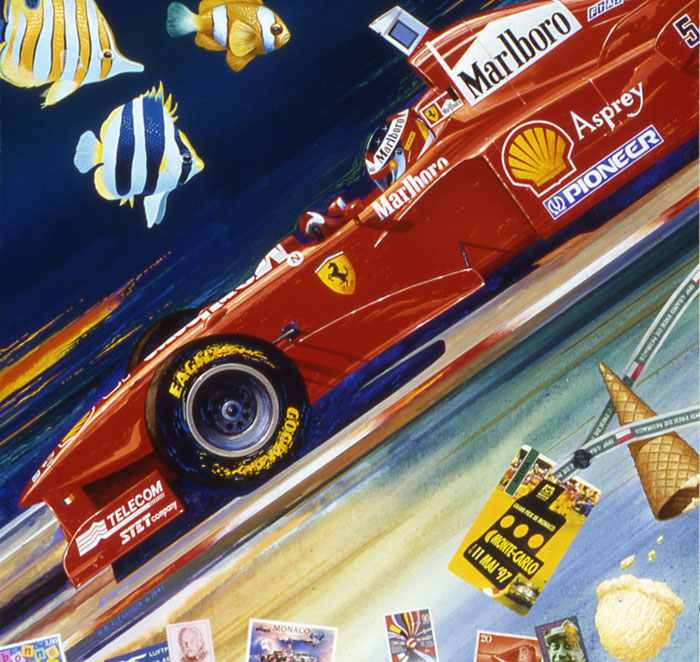 Michael Schumacher’s Ferrari F1 1997 – a postcard illustration of the delights of Monaco. Published in Ferrari’s “Rosa” magazine. 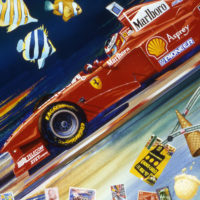 Michael Schumacher’s Ferrari F1 1997 – a postcard illustration of the delights of Monaco. Published in Ferrari’s Rosa magazine.